Sling TV subscribers will have to live without broadcast channels for the foreseeable future, as networks such as ABC aren’t prepared to sign on. 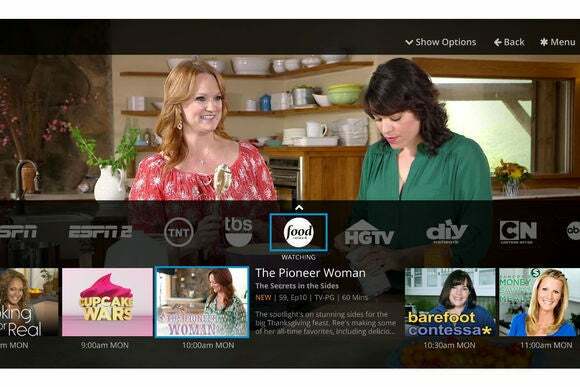 The current Sling TV bundle costs $20 per month and includes just over 20 cable channels, including ESPN, CNN, AMC, and The Food Network, with additional channel packages starting at $5 per month. Broadcast channels, such as ABC, CBS, NBC, and Fox, are a major omission. Lynch has previously said that Sling wants to offer these channels as an add-on package, so users who get them for free through an antenna won’t have to pay for something they don’t need. This approach could be one of the sticking points as Sling negotiates with broadcast networks. Lynch said at this week’s conference that any deals would have to be priced appropriately, and that Sling didn’t want to create a bundle that would “miss market” and be too expensive for cord cutters. Another issue is that streaming deals for broadcast networks are notoriously tough to negotiate. Many local market stations are operated by affiliates, rather than the networks themselves, and getting them on board with live streaming is a massive undertaking. Apple has reportedly delayed its long-rumored streaming service until next year for this very reason, while Sony’s PlayStation Vue bundle is only available in a handful of markets and doesn’t include ABC. Lynch specifically called out ABC as not being ready to negotiate a national streaming agreement. Why this matters: The lack of broadcast channels may be a non-issue for some Sling TV subscribers, who can easily pick those channels up with an over-the-air antenna. Still, not everyone lives in range of broadcast towers, gets great reception, or wants to flip back-and-forth between TV inputs to see all their channels. Sling clearly recognizes this, but it doesn’t sound like broadcast networks are sufficiently motivated by the collapse of cable bundles, at least not yet.